Punch was the most popular type of alcoholic mixed drink before the rise of the American slings in the 1800’s. There has been a long retreat of the American slings (including American juleps, cobblers and the true cocktails) from the main stage, but punch remains in the spotlight. Create a balanced mixture of the sour and sweet elements. Create another balanced mixture of the strong and weak elements. Now further balance those two mixtures together and you will have punch – about as crowd-pleasing a drink as can be. It can reach the sublime for its type if it is also accented with an ingredient from the aromatic element. Sensitive use of those five elements creates the delightful drink that all punches strive to be – and, pancha means ‘five’ in the land were punch comes from: India. It was apparently first made there by either the Indians or the British. 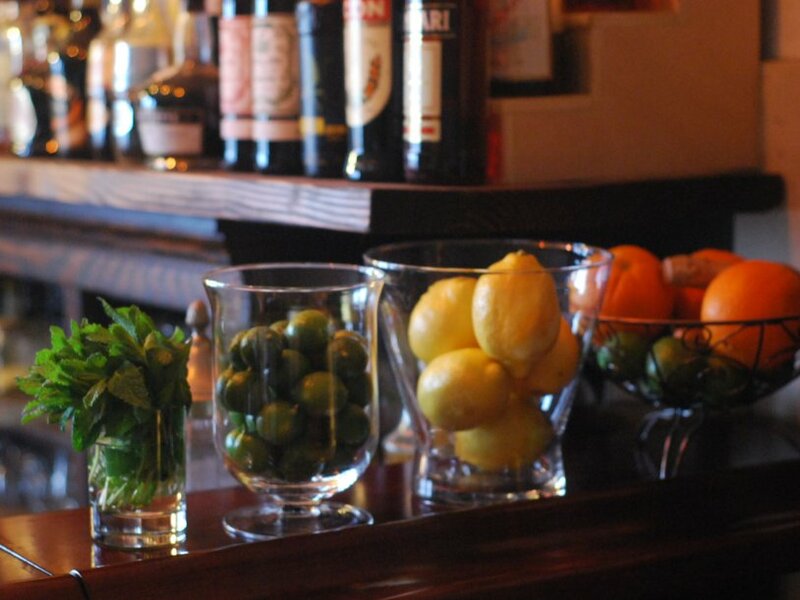 Think of the Mojito Punch. When made sensitively, it is the balance of Key lime juice (sour) with cane sugar (sweet), combined with the balance of light Cuban rum (strong) and soda water (weak). It is also aromatized by mint. Think of the Sidecar Daisy. It is the balance of Eureka lemon juice (sour) with the sugar in the triple-sec Curaçao liqueur (sweet), combined with the balance of brandy (and the alcoholic nature of the liqueur – both strong) with a fluid-ounce or more of water (that is added while shaking – weak). It is also aromatized by lemon zest. Both drinks are clearly punches in any way one cares to think – except when confused by image, method of mixing, glassware, or the lack of a large bowl. This misnaming is a consequence of the supremacy of image over substance. That has for a long time been, and may always be, a major phenomenon associated with the selling of alcoholic beverages to people involved in status-conscious social behavior – especially when prepared by employees in similar states of mind. In addition to all the punches by other names, there has been over the past century considerable punch-ward drift. Many non-punches that were originally made with only an accent of the sour element have been turned into proper punches, elementally-speaking. As an example of this, consider the Brandy Crusta and Pegu Club Cocktails. Both were born as true cocktails, originally made with only “a little,” “a few drops,” or “1 teaspoonful,” of the sour juice. These small amounts of juice can accent a true cocktail without re-forging its essential nature into something else. In contrast, drinks by those names are usually presented in modern books and bars with ½ fl-oz., or more, of the sour juice. This seems to be a one-size-fits-all approach by bartenders who undoubtedly think of all their drinks as ‘cocktails,’ even though many of them create more punches than any other single type. But, the fact that so many misnamed or re-forged drinks are actually punches can also be seen as a testament to the unwavering popularity of punch – no matter what it may be called.